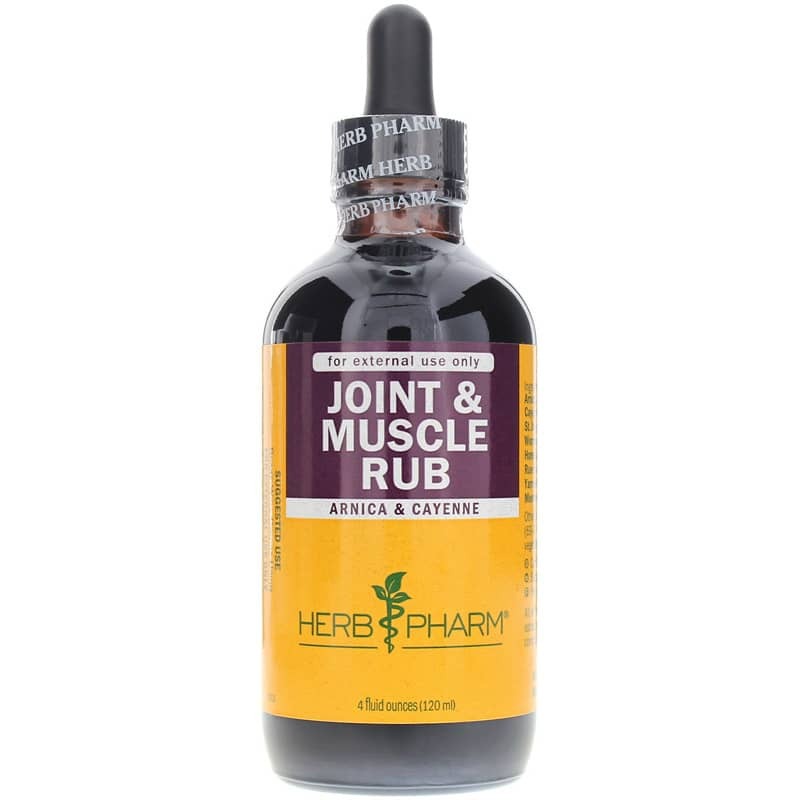 Joint & Muscle Rub from Herb Pharm is a great choice for massaging into muscles, ligaments, tendons and joints. 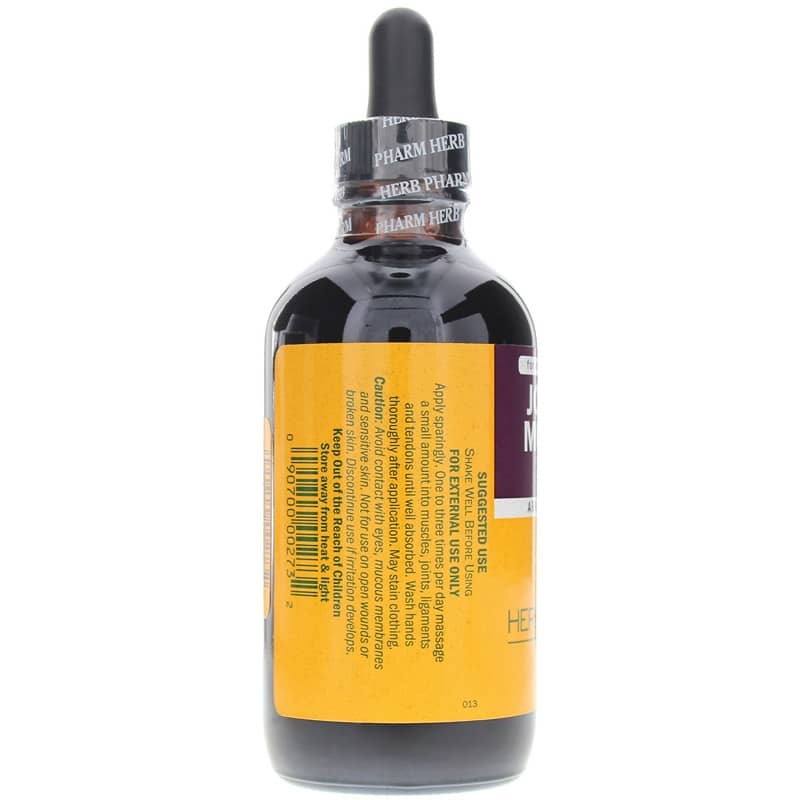 Other Ingredients: Certified organic cane alcohol (69-79%), distilled water and certified organic vegetable glycerin. Adults: Shake Well Before Using. FOR EXTERNAL USE ONLY. Apply sparingly. One to three times per day massage a small amount into muscles, ligaments, tendons and joints until well absorbed. Wash hands thoroughly after application. May stain clothing. Discontinue use if irritation develops. 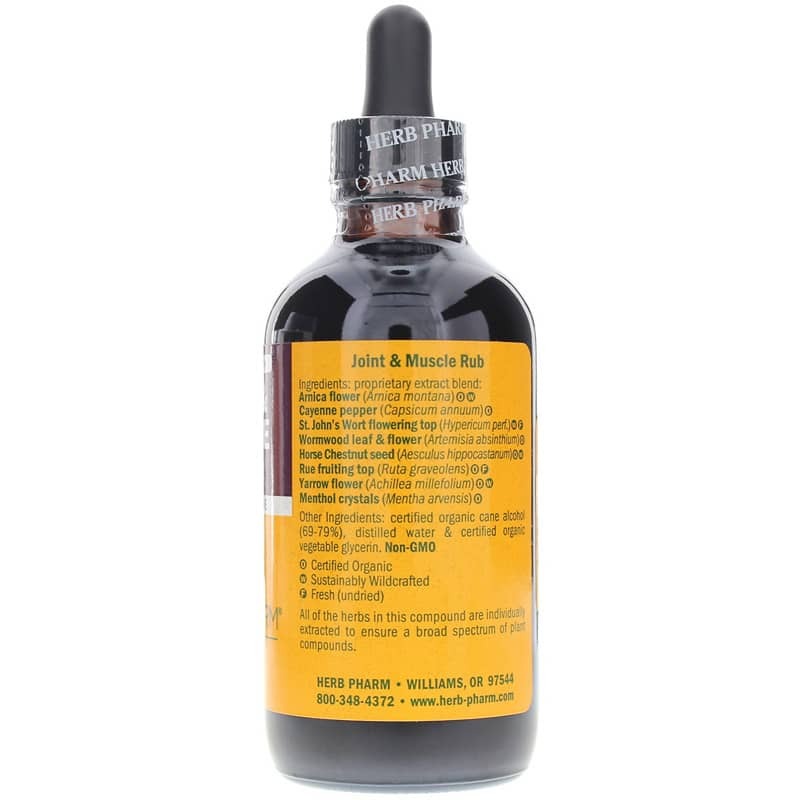 Avoid contact with eyes, mucous membranes and sensitive skin. Not for use on open wounds or broken skin. May stain clothing. Keep Out of the Reach of Children.